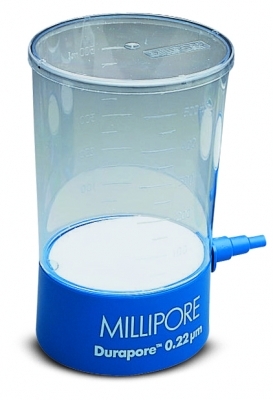 Filter and sterilize faster with a large 7.3cm diameter filter. 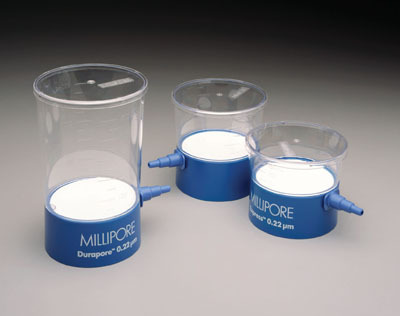 MilliporeSigma™; Steritop™ Sterile Vacuum Bottle-Top Filters are sterile, threaded bottle-top filters with 0.22 micron pore size for vacuum filtration and sterilization of tissue culture media, protein and DNA solutions, and virus suspensions. 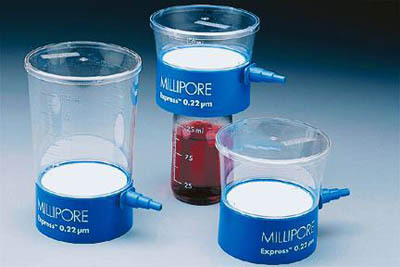 You may only order up to the available stock. For more details call customer services on +351 21 425 33 50.